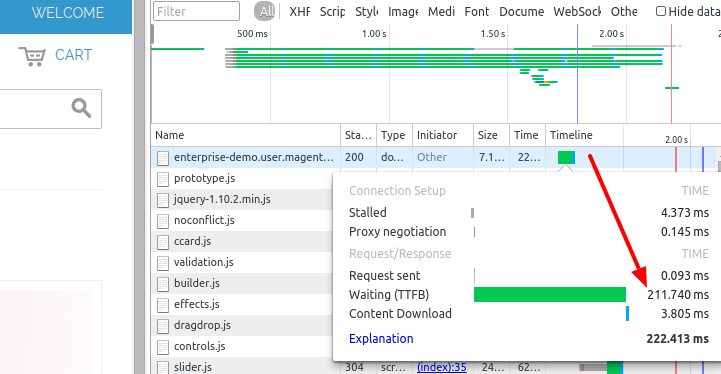 My client's Magento site page load speed is very slow. What can I do to decrease page load time? The site url is desibazaar.pk. In the screenshot you can see it's quite low (200ms) so in this case the problem wouldn't be on the server but on front end. Now if it's over, let's say, a second you might want to optimize. Before you slap on some boosters and extra caching which isn't a fix just a patch or band aid to hide the real issue try to figure out what exactly is slow. You can use several tools also for that. Magento can be quite heavy on the database so turning on the Slow Query Log might be a good place to start. Check out this post on how to turn it on. The log will show you any query that takes longer than X seconds. Expand the results and check for large red blocks. Those are the actual times it took a certain part of the code to process. Look out for any 3rd party modules that are taking up a lot of time or memory. Another great tool is Black fire. Since Aoe_Profiler is a module in Magento it doesn't show the underlying php processes and can crash on large installations with a lot of modules. Black fire runs on the server. With a hackathon we set up a Vagrant box with black fire you can use. Just put your project on there and fire it up. Check the Black fire site for more info how to use it. Last one is probably my favorite: New Relic. Unfortunately it's a paid service although they provide a free trial for pro accounts. After installing it on your server and connecting the profile wait a couple of hours for data to come in. Make sure there is some traffic on the shop tho. 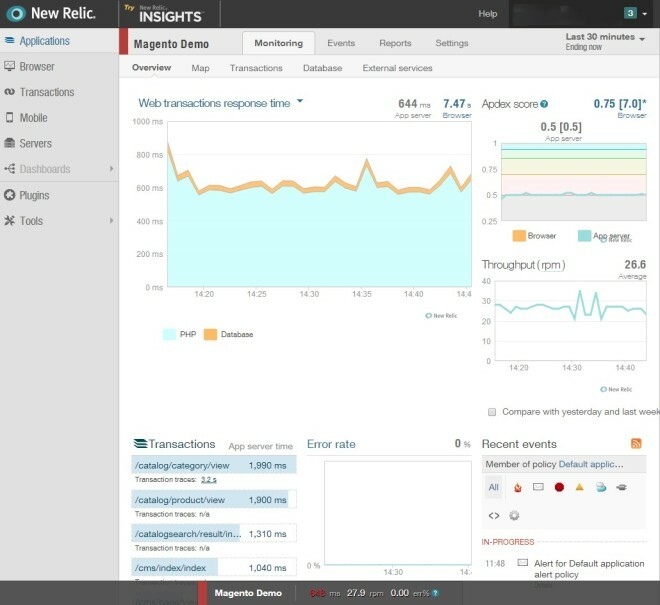 New Relic also has a blog post on how to debug Magento which I can recommend. Also check out the ProxiBlue New Relic module for extra Magento data in New Relic. Basically this will show you all of the above described features like slow queries, the processes in PHP etc and display it in easy graphs and tables. This should give you great insight in what is the issue in your installation. Enable Magento block caching in admin. Magento is a great e-commerce framework. It has tons of features and you can really build a scalable e-commerce platform. I used Magento in my latest project and faced this speed issue. After doing some research and modification I really sped up my website. Move MySQL to different server with master-slave replica. If you are on AWS use RDS for MySQL. Image Optimization & YSlow - on an average 56 percent of a website’s page weight is made up of images. Optimizing your product images can dramatically increase the speed of your pages as this decreases their download times. - Scan your website through gtmetrix or Pingdom and follow their optimization suggestions. if you are on a shared hosting environment it is very difficult to achieve good speed as one do not have full control over server and the resource is used by several other websites, but if you are on dedicated server and have full admin access try varnish cache. Use Magento’s Compilation feature. It’s reported to give you a 25%-50% performance boost: System > Config. > Tools > Compilation. Show lesser no. of Product in Product listing Page. From the Magento administrator interface, go to System > Configuration > Catalog. Under Frontend, change Use Flat Catalog Category to YES. If desired, under Frontend, change Use Flat Catalog Product to YES. Clear the cache. Not the answer you're looking for? 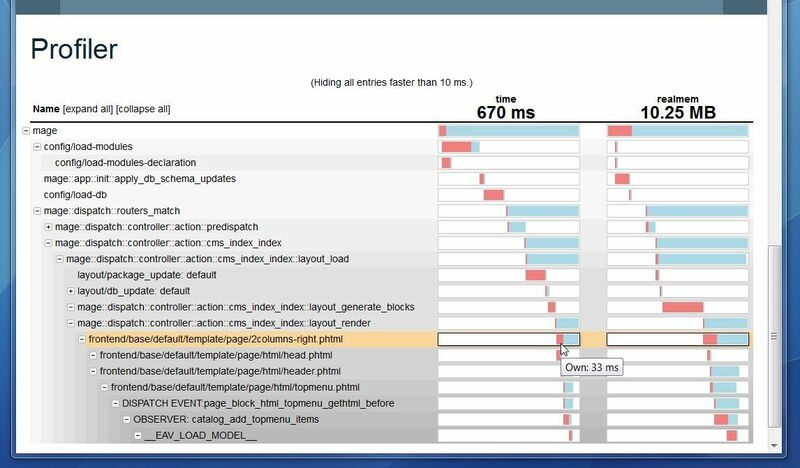 Browse other questions tagged magento-1.9 optimization pagespeed or ask your own question. What is the max speed of Magento?Or GTMETRIX wrong? How to make your magento website load faster? How to speed up backend of magento? How to speed up magento site? I aspire to become a Magento developer — what skills are needed? How to Speed Up My Time To First Byte on Magento Site? How to increase the Page-speed score?